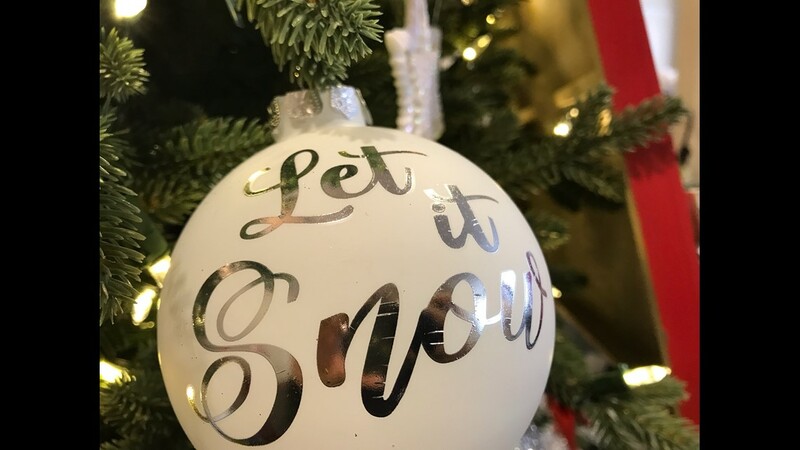 SPOKANE, Wash. — For more than 30 years, Christmas Tree Elegance has dazzled crowds downtown while raising money for the Spokane Symphony. The event is streamlined, organized and ready to enter its 36th year. Gather a group of distinguished, well-dressed, fabulous women. Enjoy a glass of wine together. Get down to business at your monthly meeting in the Palm Court. Voilà! You have Christmas Tree Elegance. Oh wait. I missed about 2,632 steps. Raising more than $350,000 is a little more complicated. But the volunteers behind the Spokane Symphony Associates make it look as simple as three-steps. 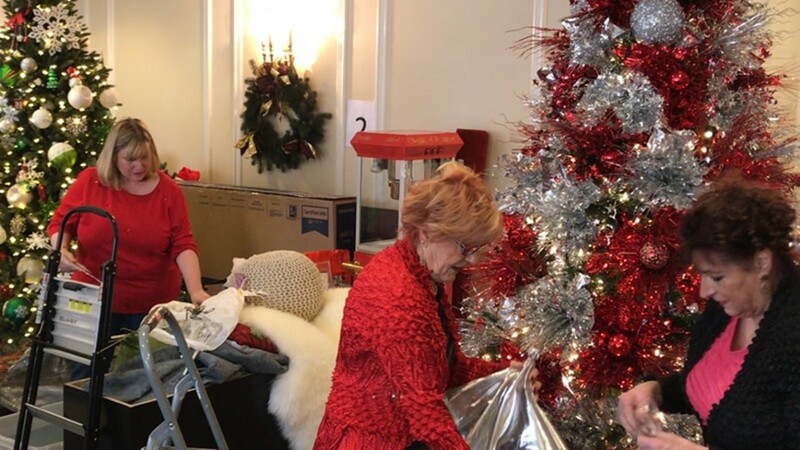 Christmas Tree Elegance commands a team of nearly 100 volunteers to create 18 over-the-top trees each boasting thousands of dollars in prizes. “We only have one paid staff in our whole organization,” added Raol’s co-chair Carol Worthington-Borodin. 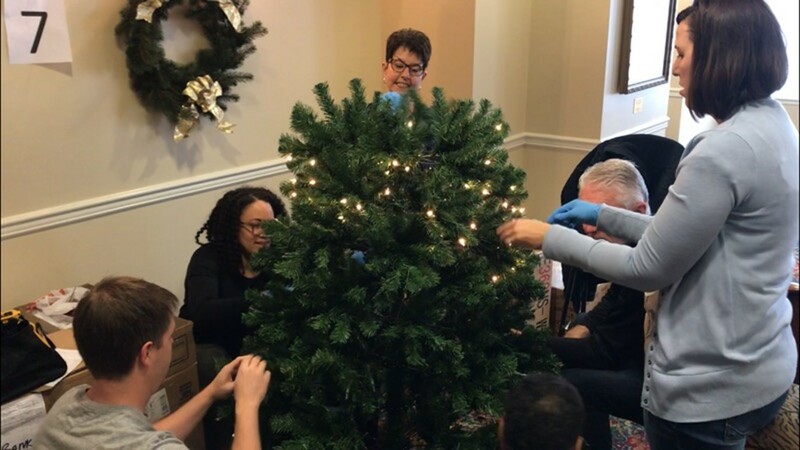 Volunteers and time make Christmas Tree Elegance tick. It is a sentiment echoed at every level of the event. 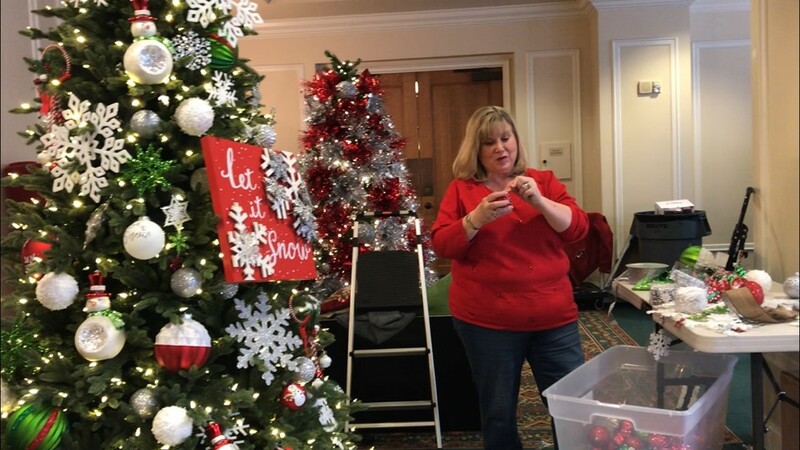 Organizers, tree sponsors, and decorators all stressed the importance of time. 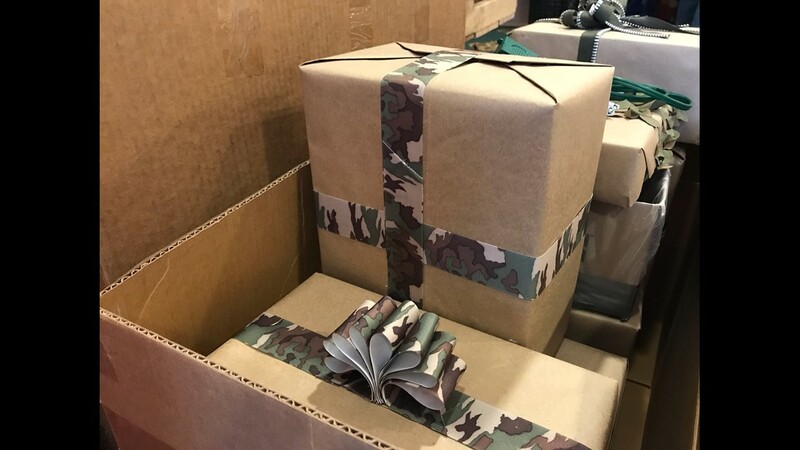 Most tree volunteer teams picked a theme and started gathering prizes almost one year in advance. 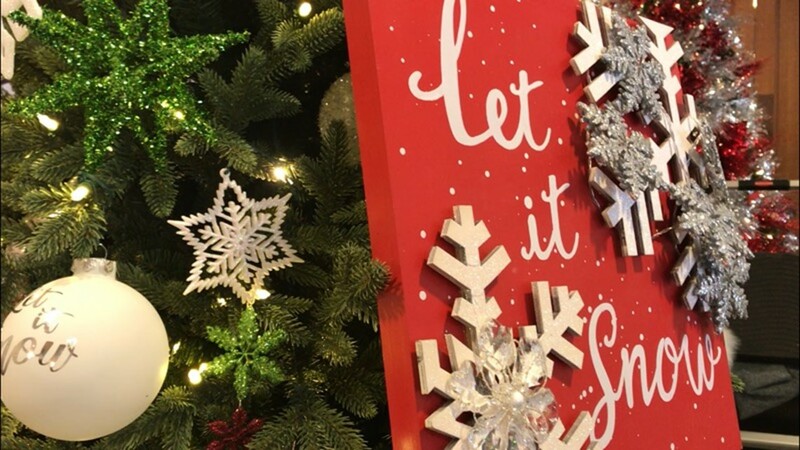 The team from Old World Christmas proved it is possible to create a Christmas masterpiece in less than six months. 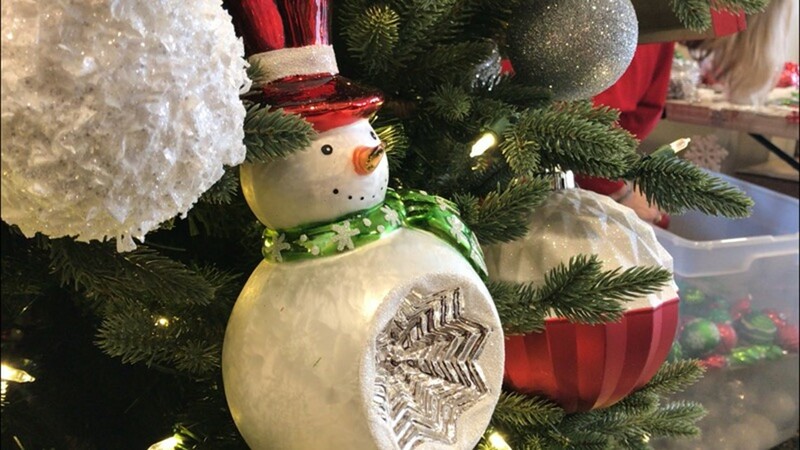 The Spokane company known for glass ornaments joined CTE for the first time in August. “We were truly excited being our first year,” exclaimed creative director Sooki Carrano. 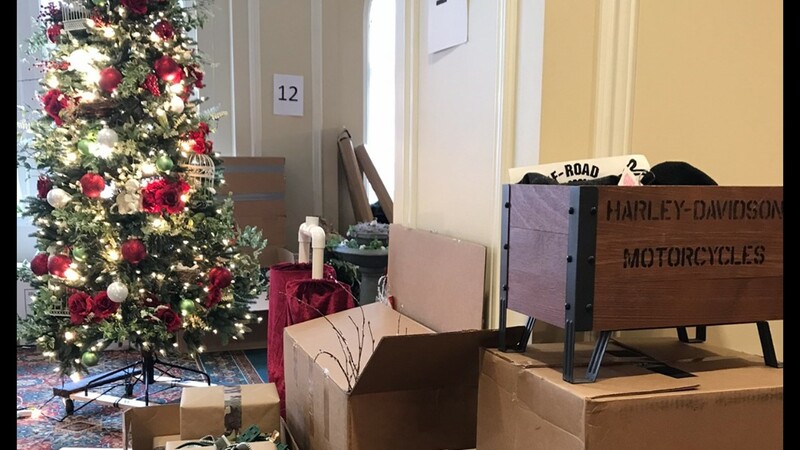 Old World Christmas sales executive Carla Stevenson described how they received immense help from the CTE committee because they were overwhelmed by the quickly approaching deadlines. “It’s been a lot of work but it has gone better than I would have anticipated for our first time,” added Stevenson. Old World Christmas came into CTE looking to make a splash using their own decorations. Their display contains three trees and more than 300 ornaments. Well before setup began for the 2018 fundraiser, planning was underway for CTE 2019. “It’s a year round process that never stops,” explained Worthington-Borodin. 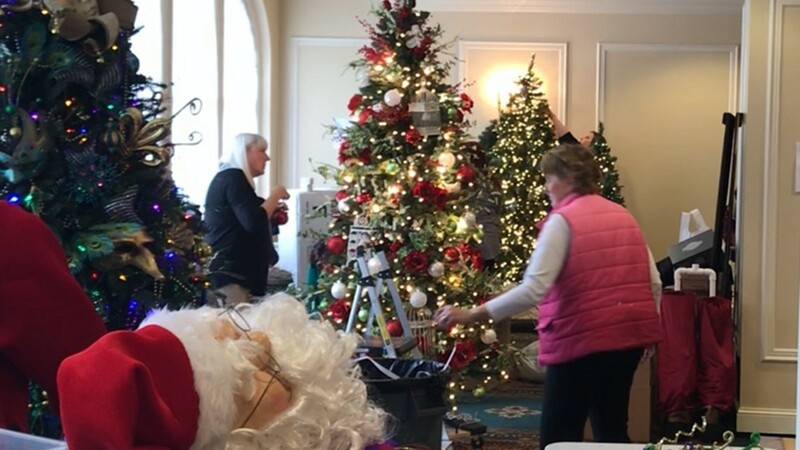 Returning tree sponsors and decorators begin meeting again in February and a few already have themes picked out for their next tree. 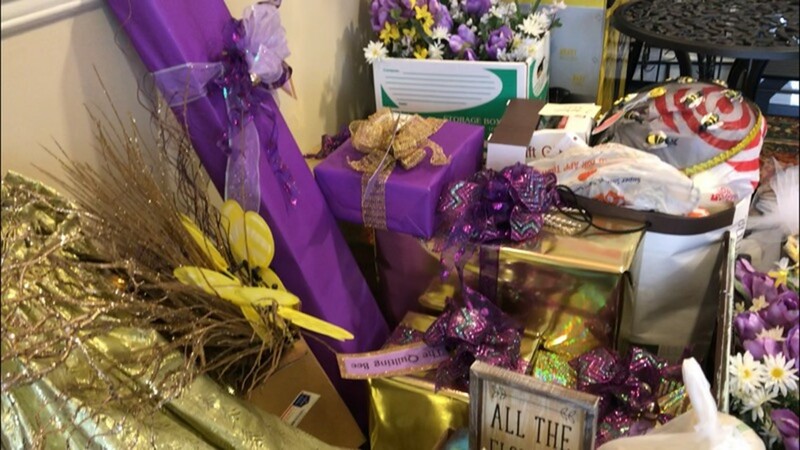 Sponsors and decorators spend the rest of the year procuring donations and prizes. It all comes together with a few long days following Thanksgiving. 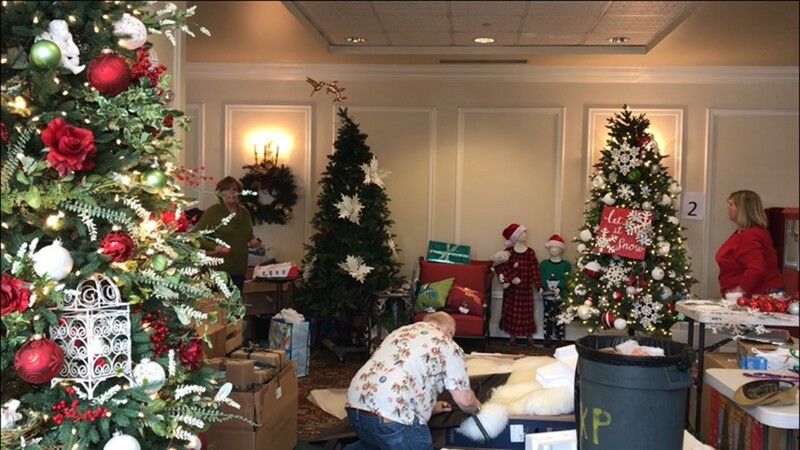 That is when veteran decorators, Gail and Doug Belanger, pack hundreds of ornaments and move into the Davenport Hotel staging rooms. 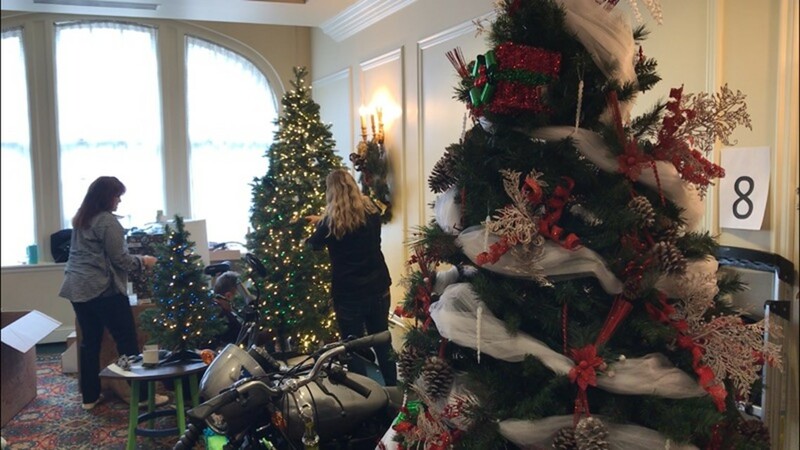 The Belanger’s have been donating their time to Christmas Tree Elegance for four years. So they’ve learned a few tricks to keep staging stress free. According to Gail, the secret is decorating is to go big, “have more stuff than you think you need. There’s always that second guessing as your approach the final days." Gail and Doug went big on decorations and on their prizes. Their tree features a 75-inch Samsung HDTV, an Xbox One, and a popcorn machine. Veteran tree decorators were some of the first to arrive for staging day. They are also quick to share their wisdom and cost cutting ideas. All of the time dedicated by the dozens of volunteers paid off for the Spokane Symphony Associates in 2017 when they broke records. But their record setting year came with upset fans and lessons to be learned. 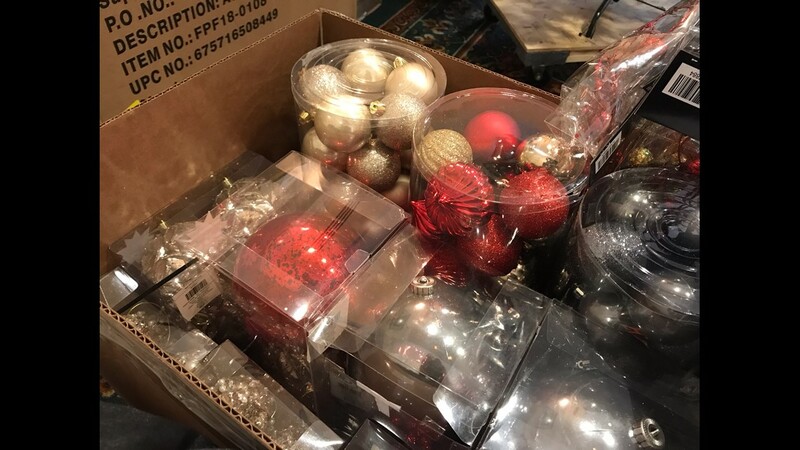 Christmas Tree Elegance sold out in 2017 before the event was scheduled to end. Big crowds bought 357,000 raffle tickets which left late arrivals without a chance to enter. 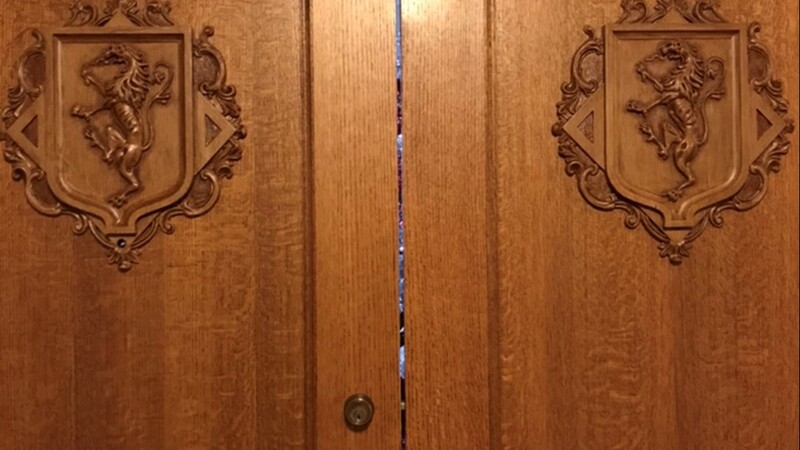 Committee members did not take any chances this December. They printed 425,000 tickets in the hopes of another record breaking year. Tickets go on sale for $1 on Tuesday, November 27th at River Park Square and the Historic Davenport Hotel. 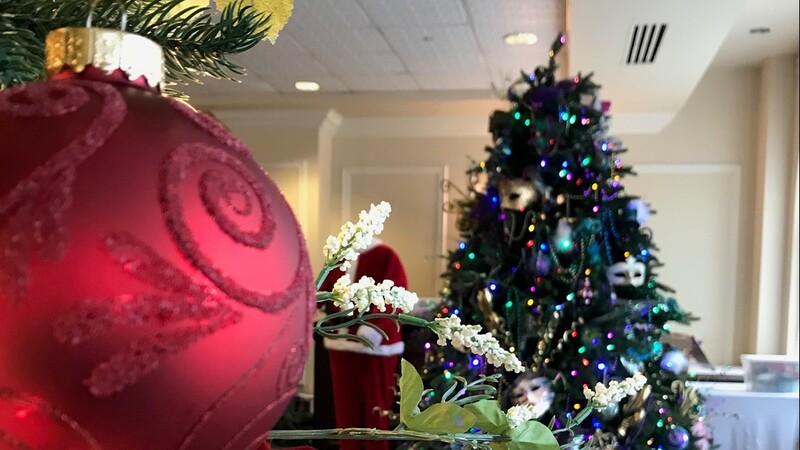 The trees remain up until the weekend of December 8-9.